3 Breakfast Ideas with Superfoods Chia Seeds! Chia seeds are a quick, versatile and easy-to-use source of protein, healthy fats, dietary fibre, minerals, vitamins, and antioxidants, all rolled into one! Although they have similar health benefits to flax seeds, chia seeds have a storage advantage as they don't have to be ground prior to consumption, and they don't go rancid as quickly either. In fact, chia seeds can last up to two years without refrigeration, due to the high levels of antioxidants they contain. They contain a high percentage (up to 60%) of plant-based omega-3 fat alpha-linolenic acid (ALA), an essential nutrient to consume because the human body cannot produce it. VERY HIGH IN FIBRE and low in carbs, with the ability to absorb 11-12x their weight in water. This increases fullness, slows absorption of food, feeds the gut-friendly bacteria in your intestine, and helps you eat fewer calories. HIGH IN QUALITY PLANT PROTEIN with a good balance of amino acids. FULL OF ANTIOXIDANTS, which fight the production of free radicals that damage molecules in cells and contribute to ageing and diseases. High in essential nutrients for BONE HEALTH, such as calcium, magnesium, phosphorus and protein. This combination of fibre, protein and omega-3 fatty acids improve your METABOLISM overall. Does Black or White Chia Seeds Matter? Chia seeds come in two colours, black and white. The difference between the two colours in terms of nutrition is negligible; both contain essentially the same amount of omega-3, protein, fibre, and other nutrients. However, the white seeds do cost more and they are less popular than the black seeds in the market. One of chia seeds' greatest benefits is how simple it is to incorporate into any diet. They have a mild flavor that makes them adaptable to a variety of recipes, and they're gluten-free, perfect for those with celiac disease, a gluten intolerance, or those who are simply trying to avoid gluten. They can also replace eggs, which is great for vegan baking. To use them as an egg substitute in baking, try mixing 1 tablespoon of chia seeds with 3 tablespoons of water, then let them sit for a few minutes. A gel will form that can be used instead of eggs in baking. It can also be sprinkled on top of yogurt, cereal, oats, or smoothies - the options are endless! However, if you are looking for more creative ways to incorporate chia seeds into your diet, please see below for 3 Breakfast Ideas using this superfood! All can be made the night before and ready for a healthy, on-the-go and nutritious start to the day. 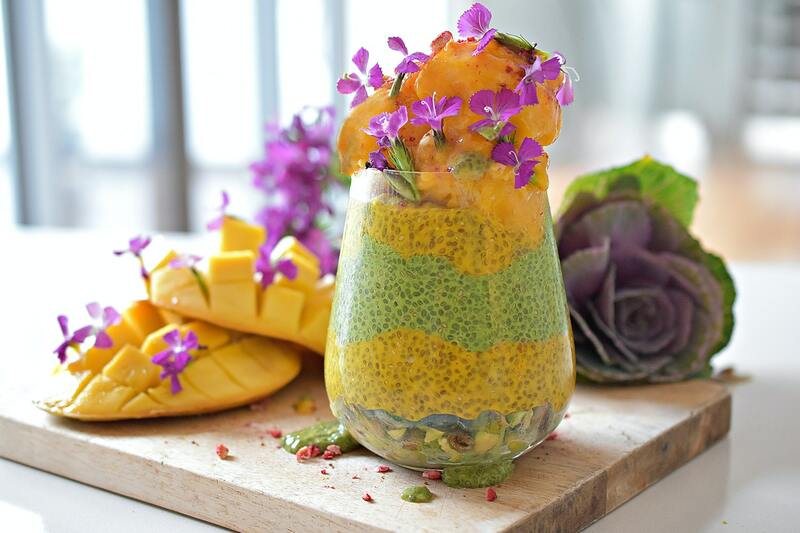 This immunity-boosting chia pudding also adds the nutritional powerhouses matcha and turmeric for a creamy and sweet brekky! Whisk half the almond milk with matcha powder, and the other half of the milk with the turmeric powder and mango, in separate bowls. Divide the chia seeds between the 2 bowls and soak over night. Layer in a glass and enjoy! 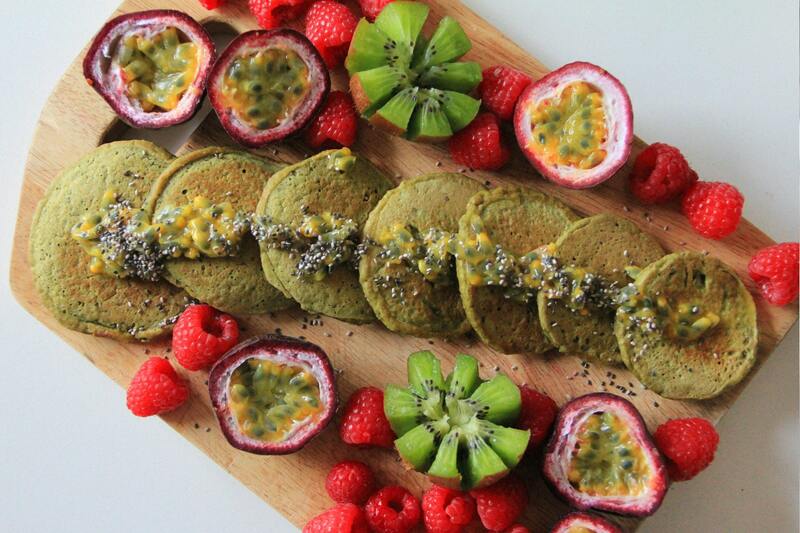 Eat the rainbow with these deliciously fluffy Tropical Chia Pancakes full of vegan protein and omega-3 fats! With the added benefits of chlorophyll-rich matcha and a variety of tropical fruit for a wonderful antioxidant hit. Freezes well for your convenience. Add the Chia Seeds and all wet ingredients and stir until just mixed. 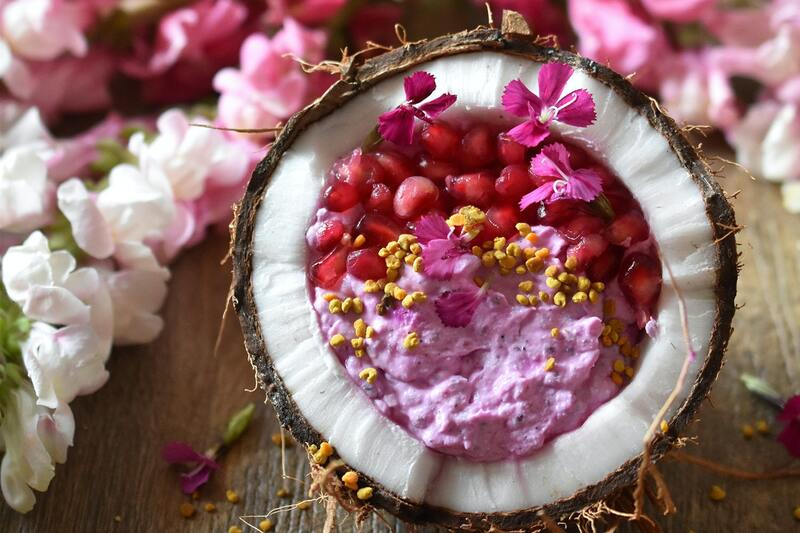 This creamy Breakfast treat is naturally pink thanks to vitamin C rich Pitaya. It will keep you full all day long thanks to the abundance of healthy fats from chia and coconut. Scrape the creamy part of the canned coconut cream or milk that has risen to the top, reserving or discarding the leftover water. Mix all ingredients together and refrigerate for a few hours or overnight to thicken and set.